Zadig Trio was founded by three young musicians who share a common passion for chamber music. 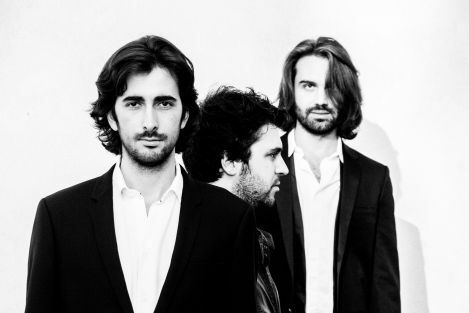 In May of 2015, Trio Zadig won the 1st prize of FNAPEC’s competition Musiques d’Ensemble, also winning the ProQuartet Special Prize and a prize at the Festival d’Uzerche. July 2015 saw the ensemble win the 1st prize and the Audience Prize at the Gaetano Zinetti Competition. Most recently, Trio Zadig took the Chamber Music Prize at the isa Festival in Austria, the 3rd prize of the Salieri-Zinetti Chamber Music Competition, the Prize of the Pro Musicis Competition, and 2nd prize at the Fischhoff Competition in the USA. Zadig Trio has also played a radio broadcast at the invitation of the ORF in Vienna, as well as for Gaelle le Gallic’s radio show on France Musique. At the moment, Trio Zadig is in residency at the Chapelle Musciale Reine Elisabeth in Brussels, where it studies with the Artemis Quartet while also benefiting from coaching by the Wanderer Trio in Paris. 2016 saw Trio Zadig receive an award from the Banque Populaire Foundation and also become a resident at ProQuartet.